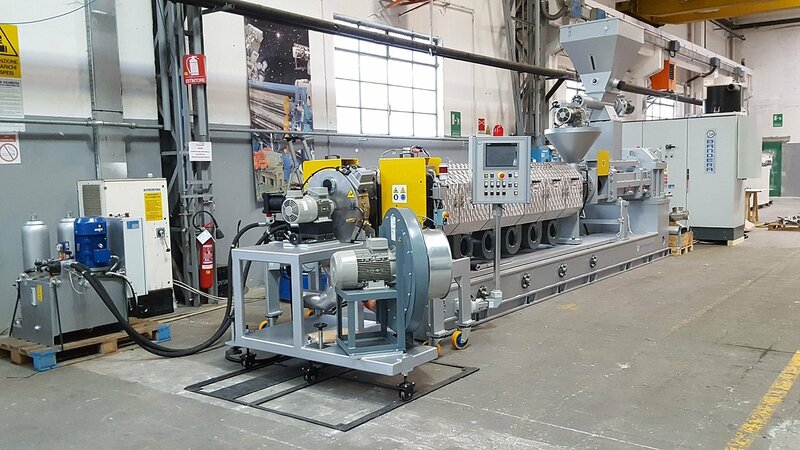 Our PVC Pelletizing lines are the result of more than 70 years of activity in manufacturing counter rotating twin-screw extruders within a range of Ø 45 to 175 mm. 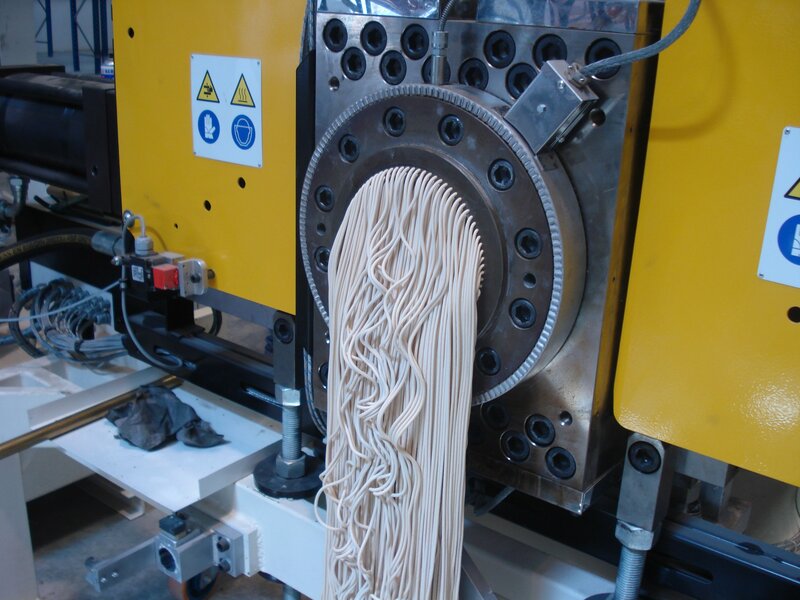 Thanks to our long-term experience and spurred on by the need to cater to the ever-changing requirements of our customers, we have improved the quality and performances of our machines, implementing them in terms of energy efficiency and versatility to process various rigid and plasticized PVC formulations. 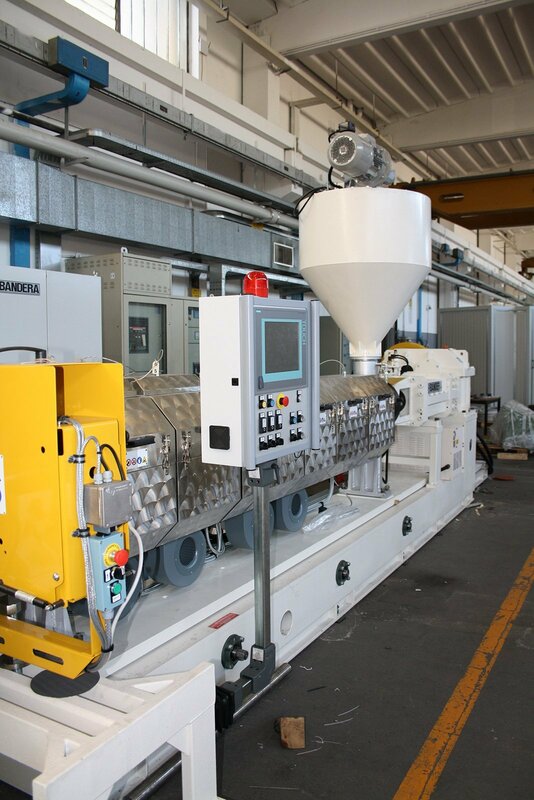 Main features of our PVC Pelletizing lines. 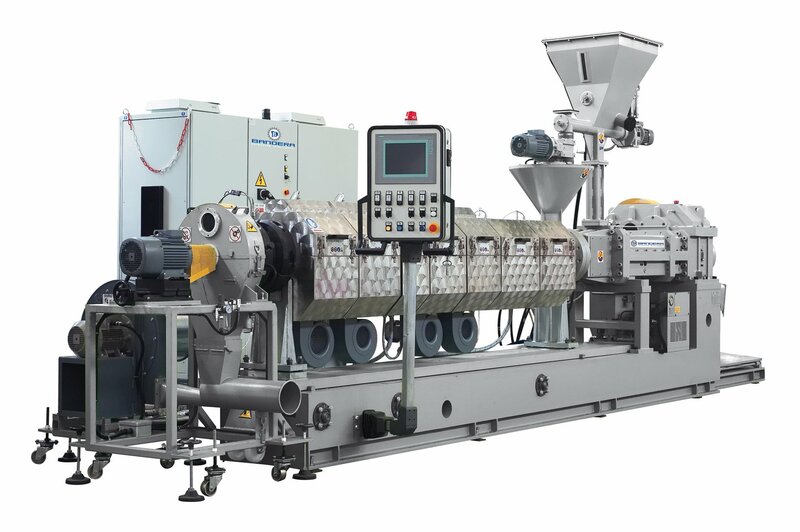 Storage hopper with min/max levels and mixer to avoid PVC agglomeration, horizontal variable speed screw dosing unit; drive with A.C. motor complete with speed synchronism system with the extruder screws. 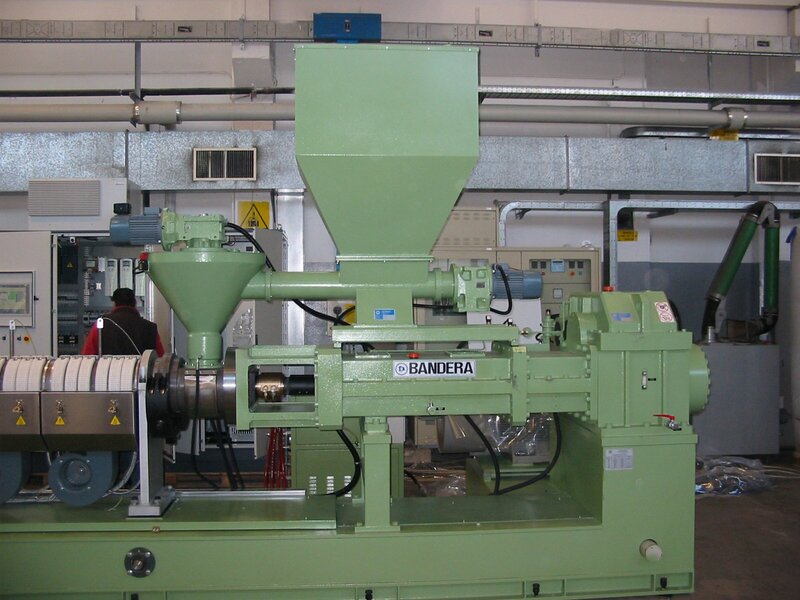 Conical hopper with vertical screw and agitator blade driven by an A.C. motor complete with speed synchronism system with the extruder screws. 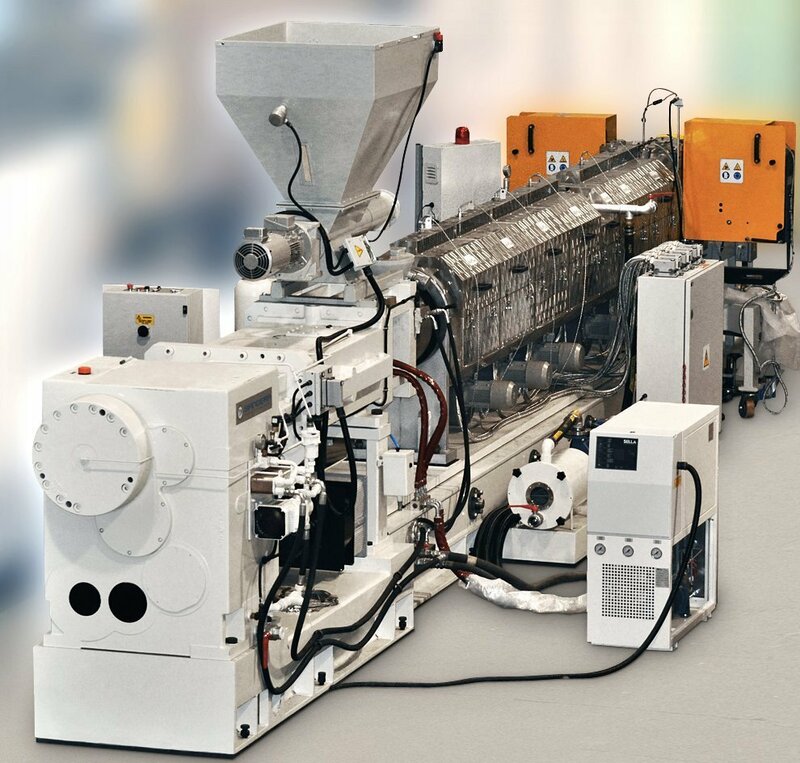 2B HTS counter rotating twin screw extruder with 28 l/d long barrel and screws. 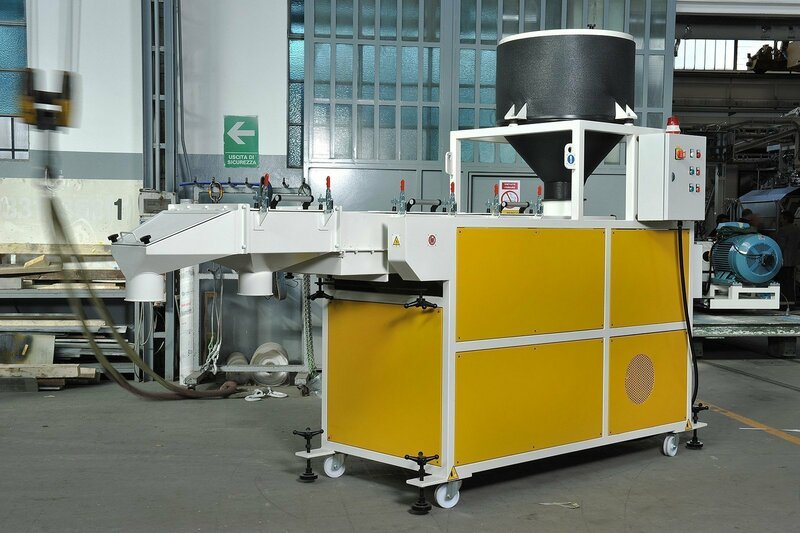 The venting port is positioned at “20 l/d” to allow the use of a “softer” screw profile and avoid high mechanical stress and thermal degradation of the material. 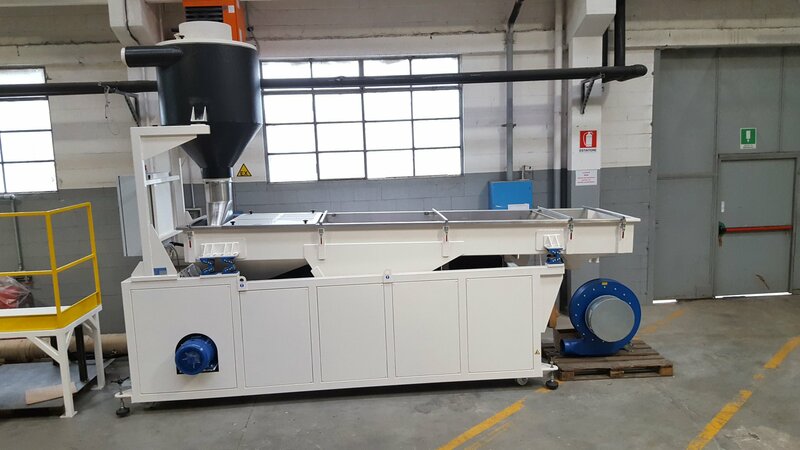 The last 8 l/d are designed as follows: 4 l/d for the degassing chamber, and 4 l/d for compacting and pushing the melt into the pelletizing die. 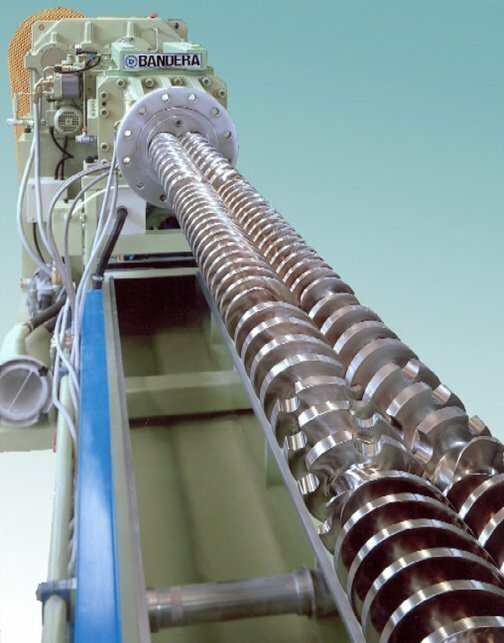 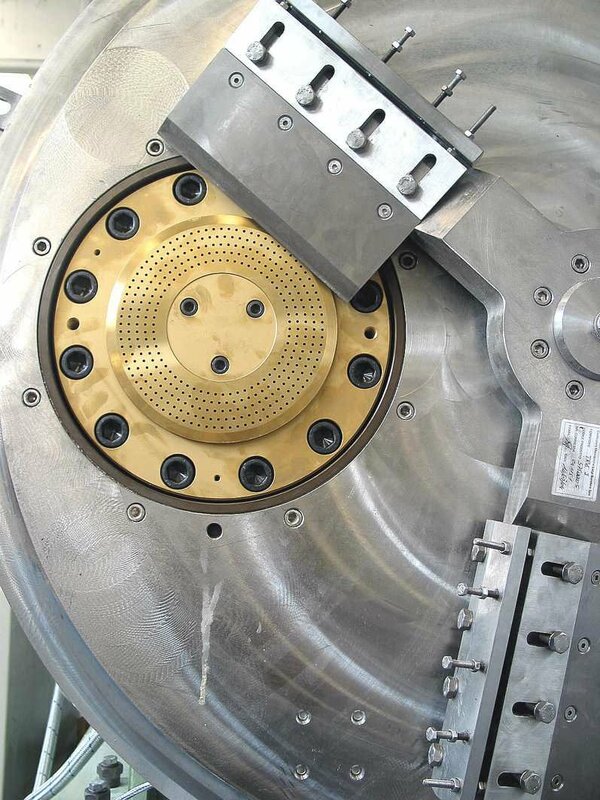 Rapid production changeovers, with barrel displacement system for easier and faster machine cleaning for production changeover operations. 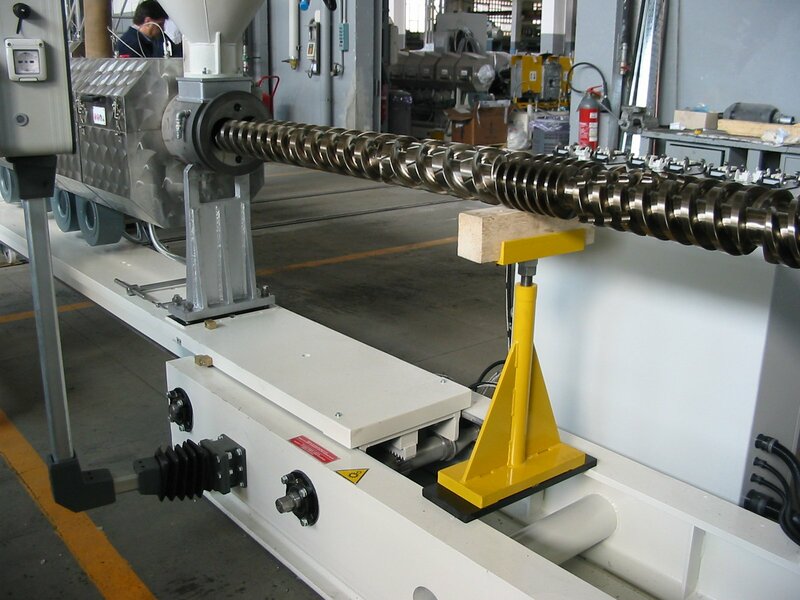 Screw thermoregulation system with internal silicone oil circulation, especially in the terminal part of the screws. 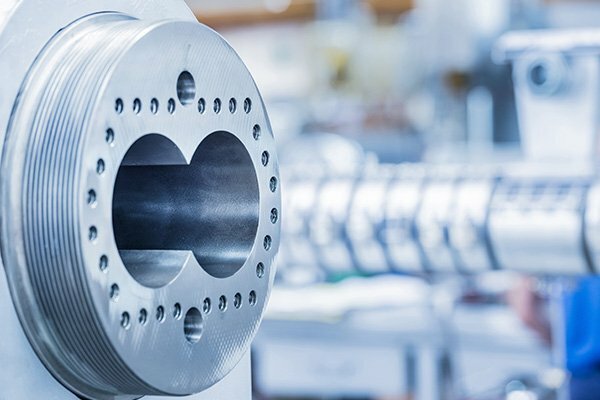 High energy efficiency with a low Kw / Kg ratio. 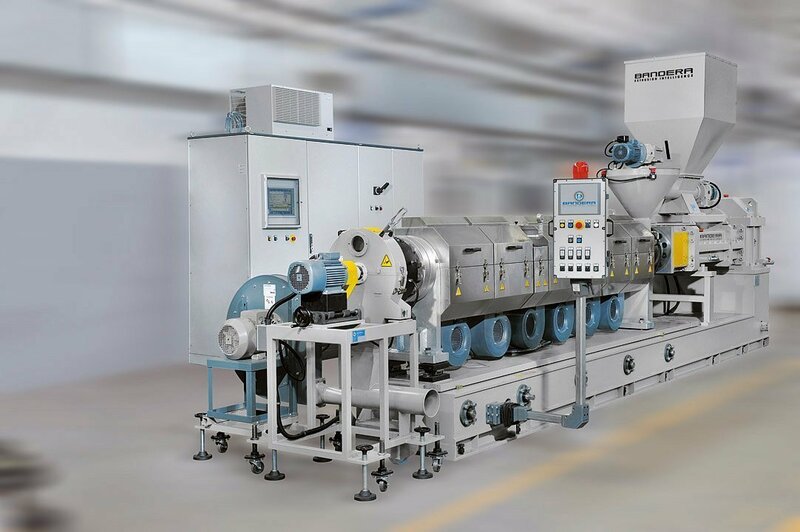 Extreme machine versatility in processing various rigid and plasticized formulations with the same screw pair, without any mechanical change of the machine hardware. 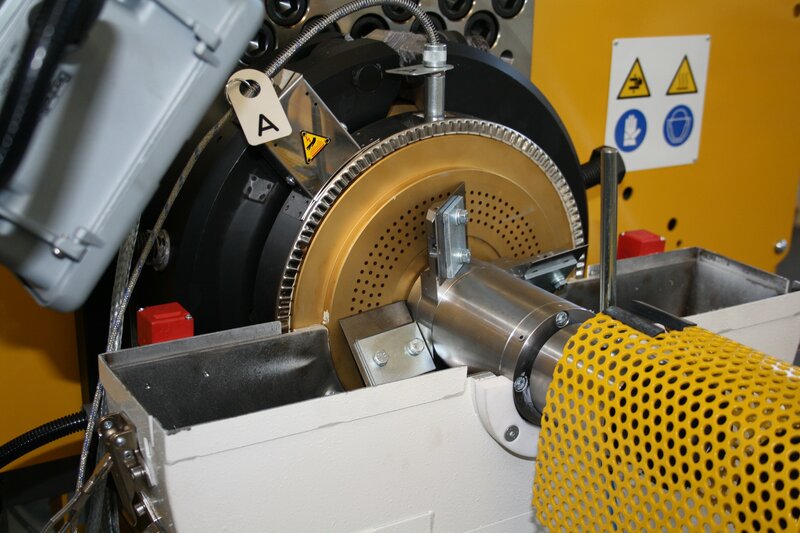 Pelletizing die with central or side cutting plate, quick release system for fast cleaning of conveyor adapter and pelletizing die, optimized melt distribution to prevent material overheating and pellet adhesion problems, high-pressure fan for the pneumatic transport of the pellets to the RGT cooler. 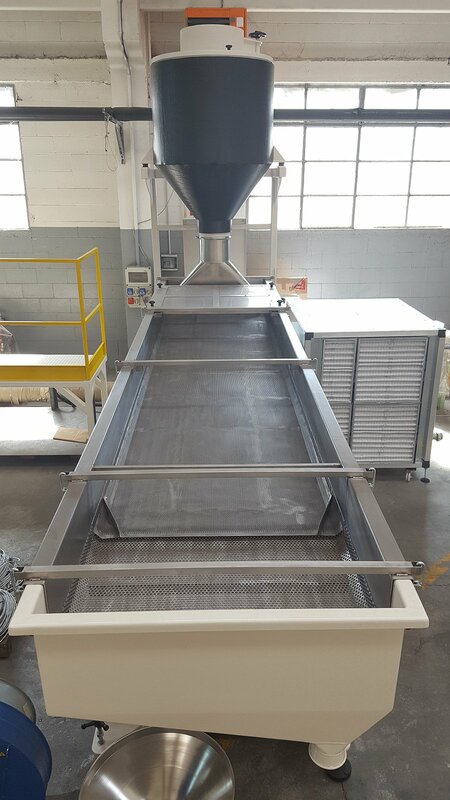 Stainless steel hopper, perforated stainless steel plate with 2 adjustable electric vibrators, through which the pellet flow is air-cooled by a high capacity electric fan. 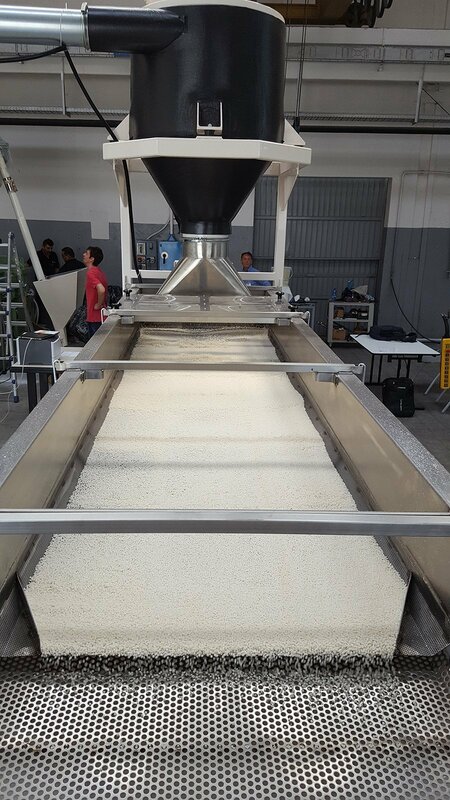 Terminal screen for separation of faulty shaped granules.